Breakfast for a foodie? You’ll like this. | mrs. and the misc. Breakfast for a foodie? You’ll like this. Whats a foodie? Well, according to the all knowing Wikipedia, a foodie: is one who loves food for what it is. They like the “consumption, study, and preparation”. They enjoy the exploration of new foods, and seek to continually develop their palate. In keeping with our Fall food theme this week, I wanted to introduce a simple, easy breakfast for those of you who actually like fresh breakfast. Real breakfast is not driving through the drive-thru at McDonalds or grabbing a “probably pre-packaged artisan egg sandwich at Starbucks”. Preparation time will also be longer than the 1 minute that passes as your waiting for the vehicle in front of you to pay. 1. In nonstick skillet, melt your unsalted butter on medium-high heat. 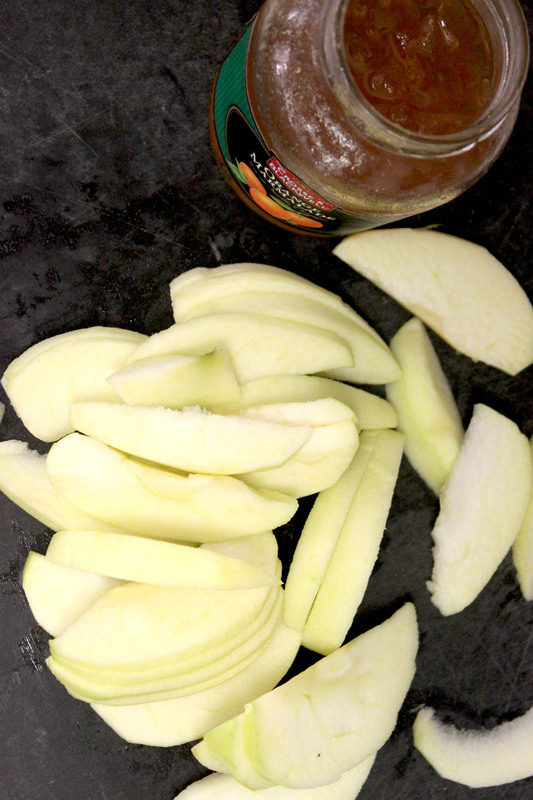 BUT before this step, you should have already cored and sliced apples in your pre-preparation. Apples thinly sliced and cored. 2. Now that your butter has melted. 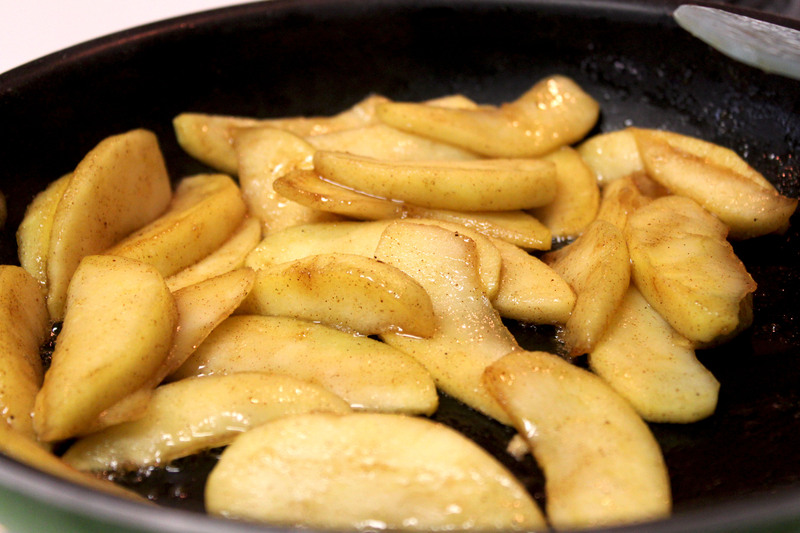 Throw in your apples and brown sugar and stir intermittently for 3 minutes. 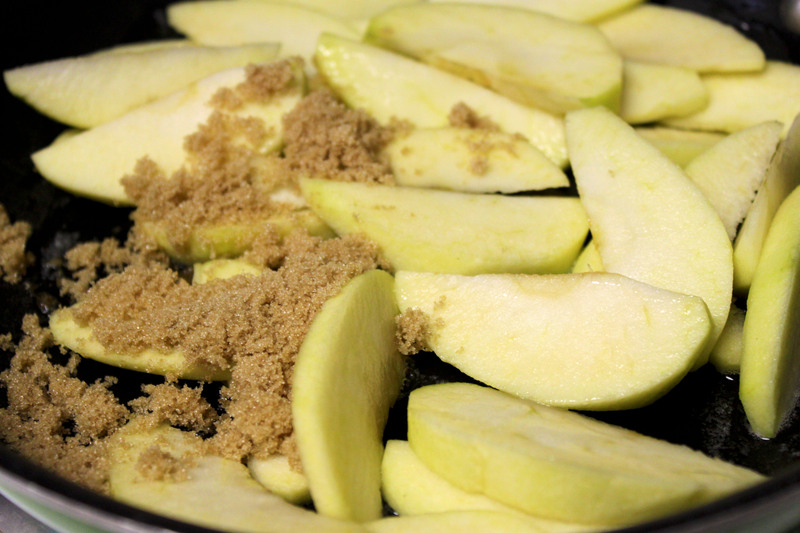 Apples and brown sugar to be stirred at same time. 3. Add your pumpkin pie spice, and continue to cook/stir for another 3 minutes. Watch for apples to become golden, while making sure they don’t burn. Next stir in your orange marmalade and it should melt within a minute. 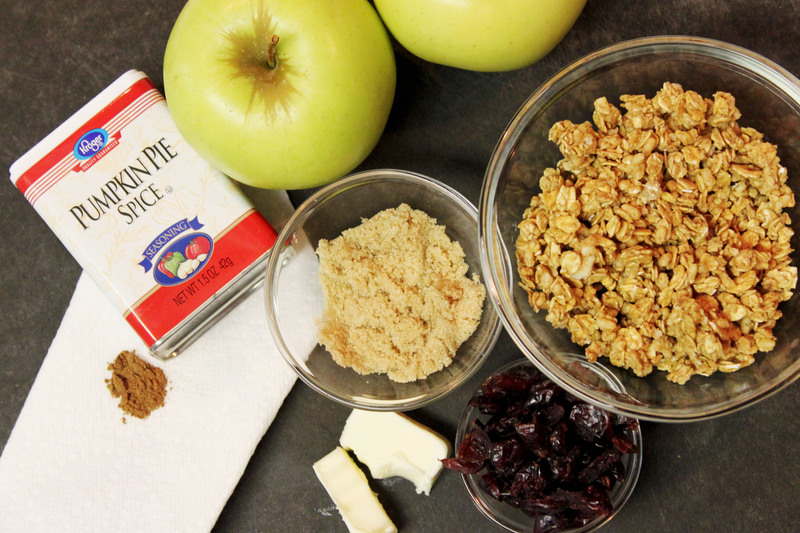 Apples that are cooked to perfection. Golden brown and soft! 4. Now that your apples are finished. Spoon them into a separate bowl and place into fridge for a couple minutes. Then, after you’ve finished your cup of coffee… layer by layer (yogurt, granola, & apple) level the finished ingredients into your parfait glass. Lastly, sprinkle top of parfait with dried cranberries and enjoy!! Reblogged this on Smiley's Healthy Way of Life. this looks so fancy, yet so easy at the same time – thanks for sharing! Trust me….SUPER easy. and you’ll have fun presenting them at the table. Love the presentation as well — those cups look like they were made for a breakfast parfait! 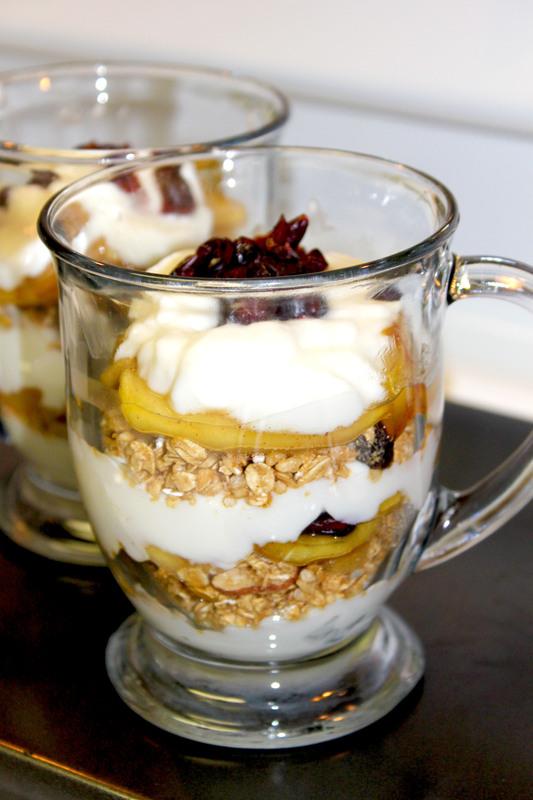 Yummm, I would love to make these parfaits for a lazy relaxing weekend breakfast!